George Smiley, cold war warrior for “the Circus” (ie MI6), first appeared in 1961 in Call for the Dead. and was the character who established John leCarré as one of the masters of the cold war spy genre. Smiley appeared in seven books between 1961 and 1979. It seemed, as the cold war was coming to a close, so too was Smiley’s work and leCarré moved on, returning briefly to Smiley’s world in 1990’s The Secret Pilgrim. With Russia well and truly back in the news and spycraft, arguably, not what it once was, it seems like the perfect time for leCarré to once again revisit this old stomping ground. A Legacy of Spies focuses around Peter Guillam, one of Smiley’s people. At the start of the novel he is living a quiet retired life on a farm in his native France. But the past is never far away and he is called back to England to answer for his part in the death of two people at the Berlin Wall many years before. The deaths themselves were part of an operation called Windfall, one that Smiley and his boss, Control, kept from their superiors for a very real fear of a mole within the organisation. In two timeframes, A Legacy of Spies tells the story of Windfall and Guillam’s often unwitting part in the tragedy. At the same time he tries not to tell the modern day investigators the whole story of how the operation came about and who it involved. This technique allows leCarré to have his cake and eat it. He is able to tell a classic cold war spy story but wrap it in a modern day morality play as the consequences of that operation play out in the next generation. 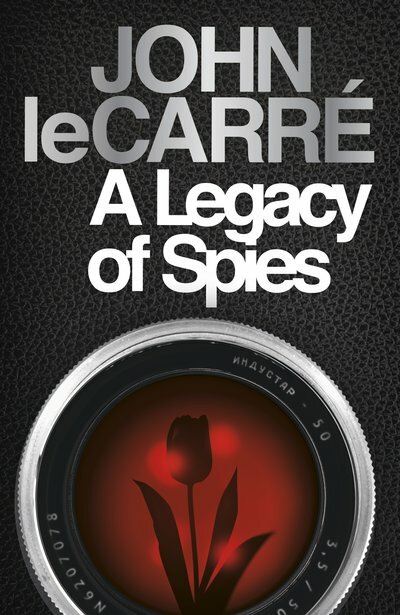 A Legacy of Spies builds heavity on leCarré’s world and it would help to be familiar with all of the side stories and back stories of the characters, developed over the earlier Smiley books. But it has been a while between instalments and leCarré does enough to describe and flag those events to keep the current story flowing. And the amount of unspoken backstory gives the novel a much greater depth than just the simple tale may have had. Some of leCarré’s more recent output has been a little on the polemical side. But in A Legacy of Spies he returns to ground that allows for much more grey. The question is how far the government and its agents should go for the common good. At the time the decisions being made seemed to be those of the very future of civilisation, but in the hindsight of the novel, and knowledge of what has come after, there is a real question of whether any of those actions were worth the cost.